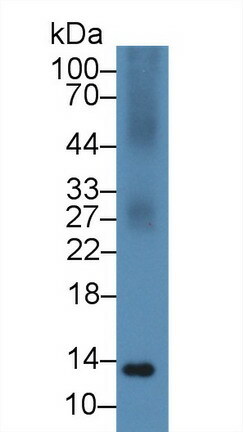 S100A11 antibody LS-C698701 is a Cy3-conjugated rabbit polyclonal antibody to chicken S100A11 (Calgizzarin). Validated for WB. 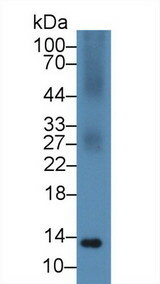 Recombinant S100A11 (Met1-Pro101) expressed in E. coli. 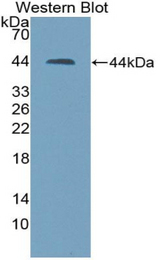 Western blot of recombinant Calgizzarin / S100A11.